Besan which is known in English as gram flour is widely used in India for cooking. It has also been a wonderful home remedy in Indian homes for ages. 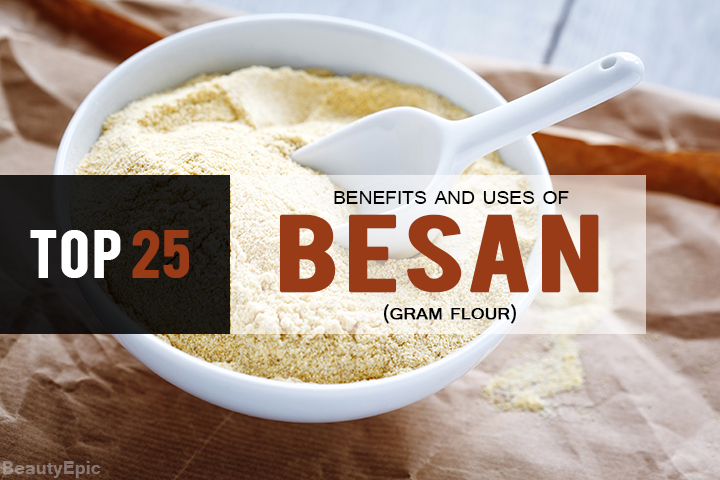 With a vast number of uses and benefits of gram flour, besan is still very underutilized by most of us because of lack of knowledge about its benefits. It is used to make the mouthwatering pakodas that all of relish so much. But besan’s utility is far beyond just cooking with several benefits for both skin and hair. Let’s now see the benefits of besan to improve our skin and hair and look younger and healthier. 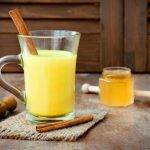 Mix besan with turmeric and water them a little to form a paste of thick consistency. Apply this pack on the face and wash it after it dries up in about half an hour. Benefit: This face pack helps us in getting a fairer look without having to use potentially harmful chemical products on our skin. Make a paste out of besan (main ingredient) and honey, turmeric (haldi) and milk cream (malai)/milk and apply it on the whole face. Leave it to dry up and then wash it off. It will cleanse the skin and moisturize the skin to help get rid of a dried-up skin. Mix besan with curd (or milk) and lemon juice(optional) and apply it as a face pack. This is a harmless remedy which can be used whenever you can find the time for it and it will give you a smoother, softer and a flawless skin. Mix a little rosewater in besan (gram flour) and make a paste out of it to form a face pack. Apply it and when it dries, wash with cold water. This will clean all the pores and remove excess oil and result in a fresher, oil-free and flawless skin. Add some milk to a cup full of besan. 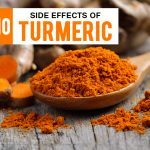 Add a teaspoon of haldi (turmeric) and squeeze half a lemon into it. The resulting paste should be applied on the body after getting the body wet with some water. The other half of the lemon which remains unused can be used to scrub the body and get it rid of the dead cells. Using this once every few days will prove highly beneficial. Take a bowl of besan and mix in it some sandalwood powder (chandan). Add a little water to turn this mixture into a paste and apply it on the face. 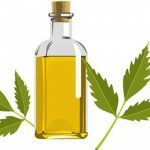 It will help in combatting the inflammation caused by the acne and aid in clearing up the pores and result in lesser acne which are caused mostly by clogged pores, which are in turn caused by poor hygiene. Mix it well and apply all on the face and even the neck. Once it dries up, wash it with cold water. Benefit: This will remove the tan our skin acquires when we go out in the open. Mix some cucumber juice in besan and make a paste to apply it as a face pack or mask. Once it dries up, wash with cold water. This will help immensely in tightening the skin pores. Performing this like a ritual every week will tighten the pores significantly. The face mask made from cucumber juice and besan as used to tighten the pores also helps in clearing off the blemishes. In our homes, for ages, besan has been in use to reduce the body hair. In infants, mothers apply besan and water paste so that there is lesser hair growth on the body when the infant matures. This can also be done when we grow up and we shall have the bliss of lesser body hair which means lesser hassles of removing them. Take some curd, powdered rice, powdered almonds and some besan. Mix them properly. Before applying this scrub on the body, apply some sesame oil (sarson ka tel in Hindi). There cannot be a better scrub than this, and it is all natural and harmless. To prevent the skin from sagging, take an egg and empty it out and remove the yellow part of the yolk and retain the white. Beat it properly and mix in this 2-3 teaspoons of gram flour. Prepare a uniform mask and apply on the skin and leave it to dry for around half an hour. Doing this every week with restore youth to the skin by preventing it from sagging and making it radiate. Mix some Aloe Vera gel in besan, add some lemon juice and make a hair pack out of it. 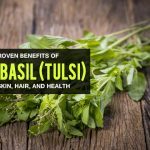 Apply it on the hair to get stronger, thicker and shinier hair. A hair pack made from besan and curd when used regularly will help immensely in reducing the hair fall. Mix lemon juice in besan and make a face pack out of it. Apply and upon drying wash it off with cold milk. When used regularly, it will certainly improve very fast. With zero trans-fat, it does not play any role in increasing bad cholesterol. The healthy fats in besan help in lowering LDL and in bringing down blood pressure too. Besan has a low glycemic index which means it does not lead to a spike in sugar levels. Using it as a substitute for regular wheat flour for carbohydrate intake is very helpful for diabetes patients. Sodium which is present in besan in the right quantity is beneficial in maintaining the health of cardiac muscles. This will help us take care of them because we can’t afford having them fatigued. The soluble fibers in besan also keep the heart healthy. People allergic to gluten can substitute products like wheat (contains gluten) with besan and not miss out on any kind of nutrition. Magnesium in besan helps in bringing down high blood pressure levels. 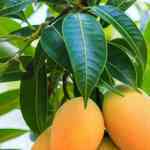 Owing to its richness in Iron, it helps anemic people fight the deficiency and live healthier. With good fiber content, it helps us in staying satiated for long and hence with the hunger pangs in check, it helps in managing the extra weight. Besan contains phosphorous which helps in bone formation by combining with the calcium. With Vitamin Thiamin, besan transforms the food we eat into energy and keeps us charged. Vitamin B6 in besan aids in serotonin production. Serotonin is the neurotransmitter responsible for regulating our mood. With high folate content, besan helps in developing the fetus’s spinal cord and brain and helps in ensuring a good healthy baby. See, so many benefits. Need we tell anymore before you rush to your kitchen and enjoy these gifts of mother nature. 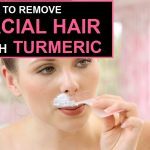 How to Remove Facial Hair With Turmeric?